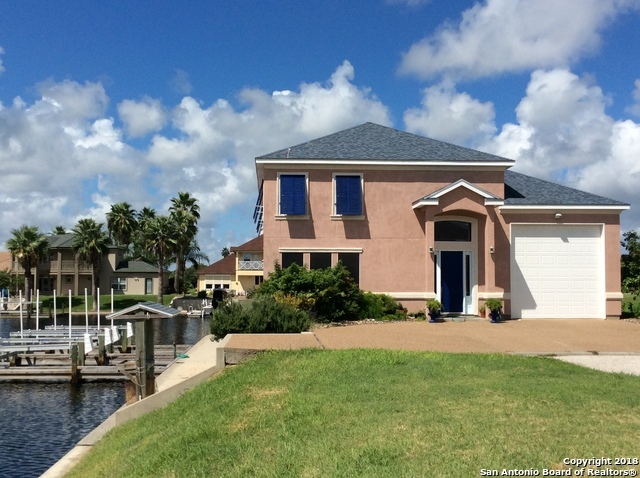 All Aransas Pass homes currently listed for sale in Aransas Pass as of 04/23/2019 are shown below. You can change the search criteria at any time by pressing the 'Change Search' button below. If you have any questions or you would like more information about any Aransas Pass homes for sale or other Aransas Pass real estate, please contact us and one of our knowledgeable Aransas Pass REALTORS® would be pleased to assist you. "Stunning corner property on the coveted Pelican Cove canal with amazing views in this beautiful Sea-Gate protected neighborhood. Wrap-around bulkhead w/2 boat-lifts and lighted fish-cleaning station, just minutes from the Bay. This 2 story 3 or 4 BR, 4 Bath with a large study boasts a magnificent master suite and elevator. Expansive bathrooms and generous closets throughout. Open design with water views from all rooms. The Dining area offers built-in cabinets and a beautiful canal backdrop."